One of the most common injuries to athletes is an anterior cruciate ligament (ACL) tear. The ACL is a ligament located in the center of the knee that is vital to the joint’s stability. Years ago, the majority of ACL injuries occurred in younger patients. 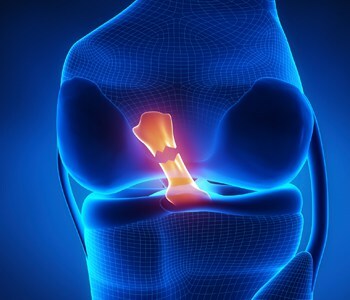 However, as people have become more active in their 40s, 50s and 60s, surgeons are performing more ACL reconstructions for the older population. There are several different ways a surgeon can reconstruct an ACL. Most commonly, surgeons perform an autograft, during which they remove the bone attached to the tendon of the kneecap and attach it in place of the ACL with screws. They can also perform an autograft with bone from the hamstring tendon, or an allograft, which uses bone from the tendon of a cadaver. The determining factor of whether the patient is ready to return to action is the functionality of the ACL. If the patient’s knee is performing at 85 percent of the level of the other knee, he or she is ready to return to the field or court.